This Home Page includes links to North Somerset Records which records hundreds of Somerset Names, Church Record, Parish Chest, Wills etc..
A Hundred is an English division of the shire. The hundred was then divided into tithings. 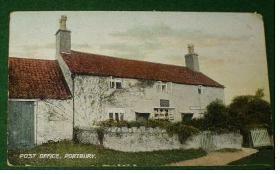 The Portbury Hundred is thought to have contained ten tithings, the six Gordano villages, Portbury,Portishead, Easton in Gordano, Clapton in Gordano, Walton in Gordano, Weston in Gordano with Nailsea, Tickenham, Wraxall and Clevedon. Some of the parishes belonging to the Hundred are situated in the moors southward; the rest lie behind the hills towards the Bristol Channel; into which the river Avon, empties its-self at the northernmost point. The joining into the Severn provide an excellent road or station for ships, this is called Kingroad. 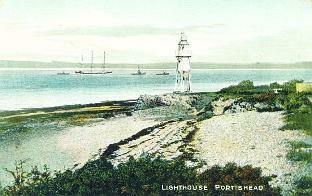 Portbury was the principal town in these parts, anciently a town of the Romans. Many coins and foundations of building have been found on or near the Military Way, that travels from Axbridge, via the Pouldon Hills to the sea at Portishead. Home: Taunton Somerset England UK. Easton in Gordano Church Wardens and Overseers. 1719 Thomas Morgan Esq, Churchwarden. Mr John Jones, Pilot, Overseer. 1720 Thomas Knight, Pilot, Churchwarden. 1722 John Reece, Pilot, Churchwarden. 1725 Mr Thomas Knight, Churchwarden. These transcriptions are owned by the author and are provided free for the personal use of students, scholars and the public. The transcriptions were created by the author and are subject to international copyright laws. With the sole exception of selected, individual entries for private personal use, copying, redistribution or re-posting of these transcriptions or any part thereof is prohibited without the written consent of the author. Any commercial use or publication of text without permission of the author is strictly prohibited. Roman remains discovered at Portbury suggests that it was once a place of importance. There are traces of a sea bank constructed between Portbury and Portishead and other finds include, fragments of roads, villas and coin. In the Churchyard of St. Peter & St. Paul Weston in Gordano, is the tomb of Richard de Perceval a crusader. The manor house of Clapton Court faces the church of St. Michael. The manor was the seat of the Arthur family. The Arthur’s married into the Winter family and monuments to the Winter family can be found in the parish church. It may not be generally known that a small Lending Library for the working classes has been provided in connection with the Working Men’s Coffee and Reading Room, the subscription to which is so low as to place it easily within the reach of any who have the slightest inclination to avail themselves of the advantages thereby offered them. For one penny per month (paid in advance) subscribers may take out any volume. In early records Easton in Gordano was known as Estone but for many centuries the village has also been known as St. George. The village church being dedicated to St. George. During the 18th Century smuggling was prevalent in the Bristol Cannel. In 1755 an excise officer was attacked after he stopped a farm cart which was carrying brandy near Weston in Gordano. It was reported that the Gordano people were heavily involved in smuggling. Books now on line. School logs etc. Under Books page.